We are using genome editing to make hybrid rice plants that produce seeds identical to the parent plant, maintaining high-yielding hybrids through future generations. 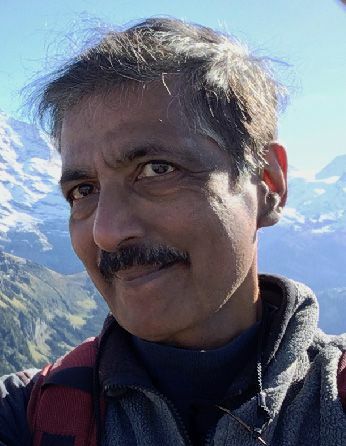 Venkatesan Sundaresan is a Professor in the Department of Plant Biology and the Department of Plant Sciences, College of Agricultural and Environmental Sciences at the University of California, Davis. The Sundaresan lab studies the genetics and molecular biology of plant reproduction. Crop yields can be improved by using hybrids that exhibit enhanced vigor over inbred varieties. However, high-yielding hybrids cannot be maintained through seed propagation, and have to be generated afresh for each season by tedious and labor-intensive methods. Consequently, hybrids are underutilized for many crops, including rice, a major staple food for the developing world. This project will develop methods for the clonal propagation of rice seeds that maintain their hybrid genetic constitution. We have recently identified genes for putative embryogenic transcription factors expressed in rice zygotes that can be used to promote somatic embryogenesis as well as parthenogenesis. Manipulating expression of these factors, combined with mutations in previously characterized rice meiotic genes can make rice plants that produce diploid seeds genetically identical to the parent plant. These methods will rely extensively on the targeting capabilities of the CRISPR-Cas9 system to knock out as well as modify the expression of endogenous rice genes. The project outcomes would constitute a major step forward for rice breeding, and potentially for other cereal crops as well. For 10,000 years, the major world food crop, rice, has reproduced sexually, rearranging its DNA with each generation and often losing desirable traits… until now. Read our coverage of the landmark paper that resulted from this project here. This news was highlighted on the BBC program, "Science in Action." Listen here. A male-expressed rice embryogenic trigger redirected for asexual propagation through seeds.